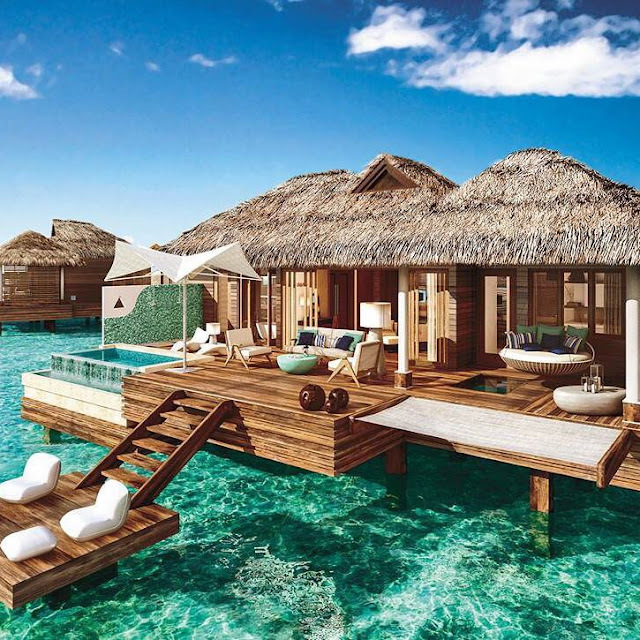 Sandals CEO, Adam Stewart, announced today that the highly anticipated Overwater Bungalows at Sandals Royal Caribbean will begin welcoming guests in June 2016! 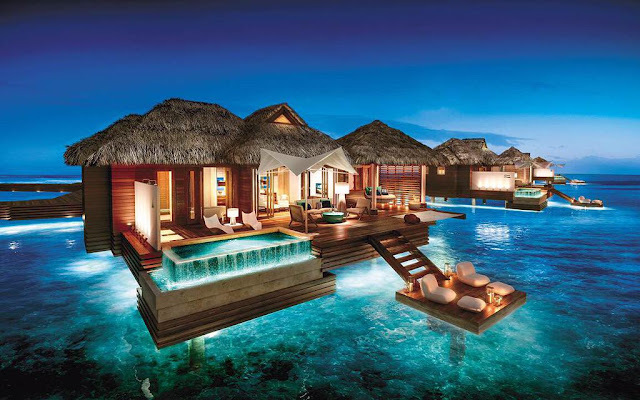 Brand new design for the upcoming overwater bungalows, courtesy of CEO Adam Stewart. A few months back we were lucky enough to spend a week relaxing on the beautiful beaches of Sandals Royal Caribbean in Montego Bay, Jamaica for our 5th wedding anniversary. While there, we chatted with Mr. Gerald Christ the General Manager, who invited us into his office to show us the brand new design plans for the soon-to-be-built overwater bungalows. 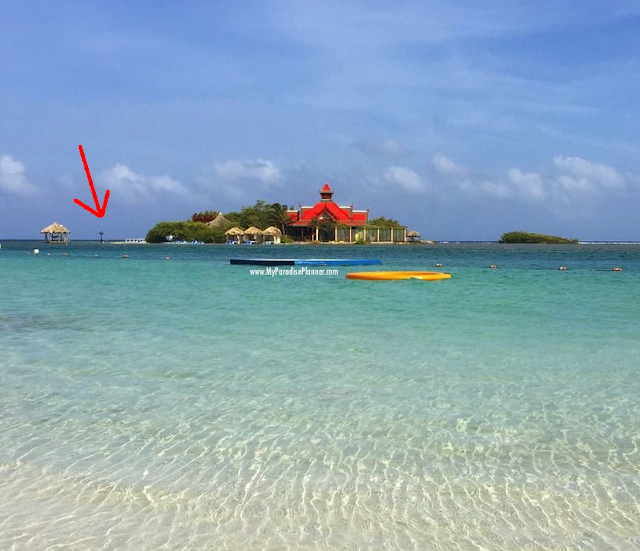 A dredge barge was brought in to break ground on November 1st and the bungalows are schedule to be ready for guests by June 2016. 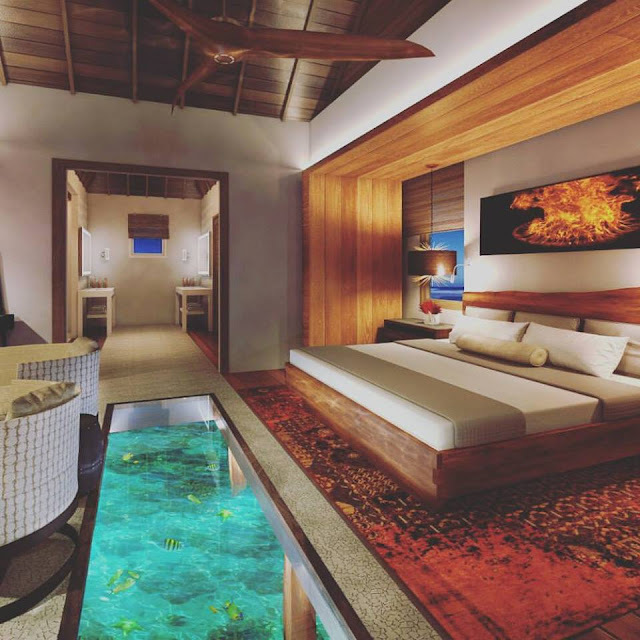 We had the privilege of staying in one of Sandals Royal Caribbean's newest suites and it blew us away. We know the bungalows will be even more amazing and we can't wait to see them first-hand too! These bungalows are now available to book online as of March 11, 2016 for travel from December 2, 2016 onward!